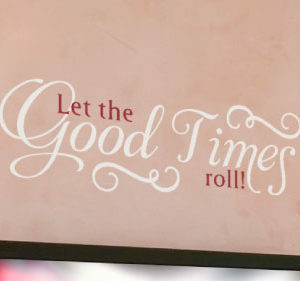 Smiling hearts Beautiful faces Good times Happy places!! 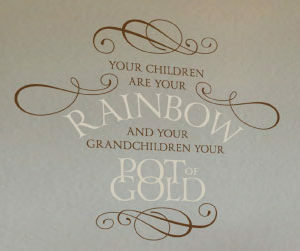 Your children are your rainbow and your grandchildren your pot of gold. Having a place to go... is a home. 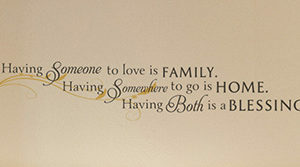 Having someone to love... is a family. 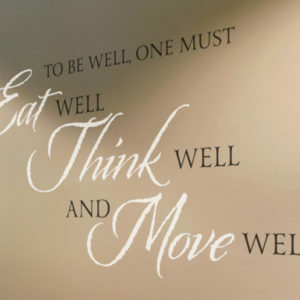 Having both...is a BLESSING. 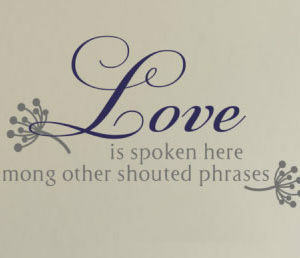 ...we do together, we do family, we do love. A Family's Love is Not Divided...It is Multiplied! A heart is not judged by how much you love... but how much you are loved by others. 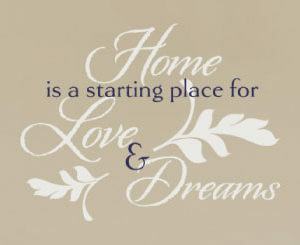 A house is built with human hands, but a home is built by human hearts. 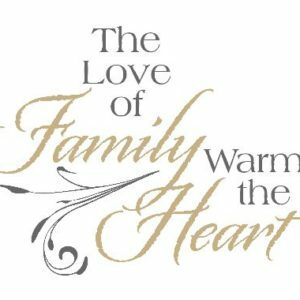 Family & Faith - the heart & soul of life. 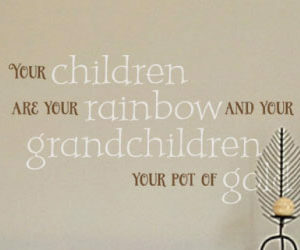 Grandchildren fill a space in your heart that you never knew was empty. 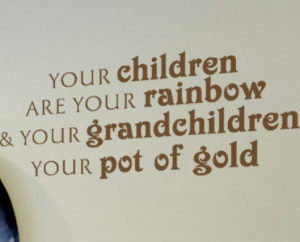 Grandchildren, first rule: the heart and then the world! If you look deeply into the palm of your hand, you will see your parents and all generations of your ancestors. All of them are alive in this moment. 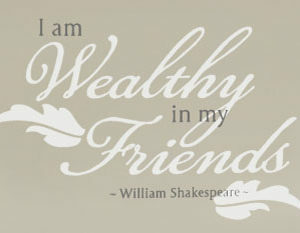 Let me ask you this, "Do you spend time with your family? Good. Because a man that doesn't spend time with his family, can never be a real man." You can't SCARE me . . . I have Grandchildren. 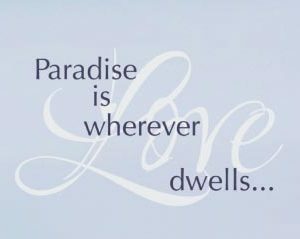 Where you are always loved. 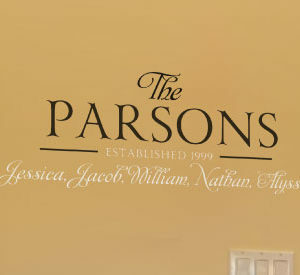 Whatever life hands us, happiness or sorrow, in this house, we share stories today to be remembered tomorrow..
We are a team. We are a family. 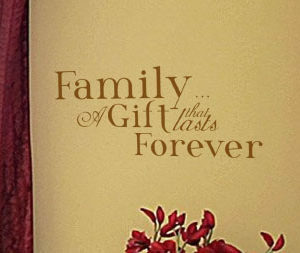 Time with those one loves, is life's greatest gift. 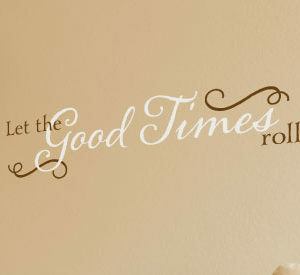 Time with those we love is one of life's greatest gifts. 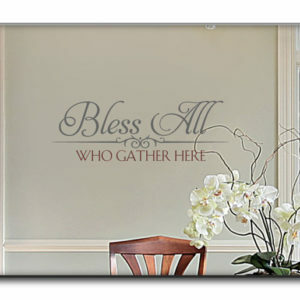 Thank you God for the blessing of family and friends who visit. People are usually the happiest at home. The best part of life is when your family becomes your friends and your friends become your family. 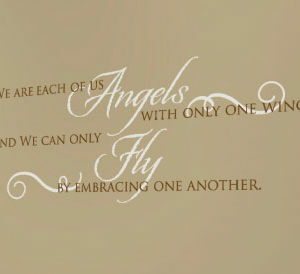 We are never alone. 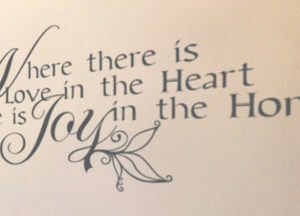 The heart always finds its way home. 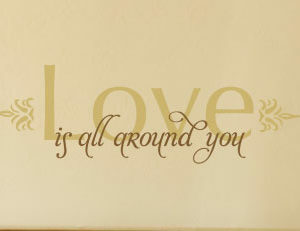 You will always have...my love, our home and family! Start with a pair and end with a full house. 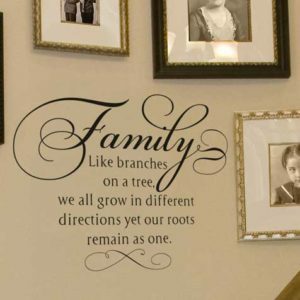 Our family is a circle of strength and love with every birth and every union the circle grows - every crisis faced together makes the circle stronger. 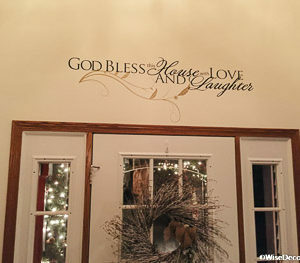 Wall decals are great additions to a family room as words of warmth and love can be displayed. 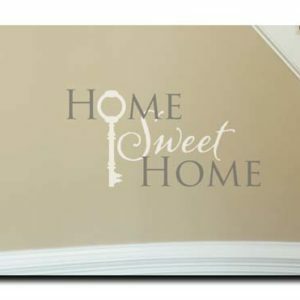 The term “family room” was first introduced by the designer George Nelson and Henry Right in his book entitled “Tomorrow’s House” in 1945. 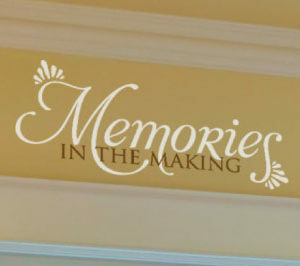 Under Chapter 7 entitled “The Room without a Name” it tells the need of a new large room in the house that would cater to modern living of entertaining guests and serve as a gathering place for the entire family. 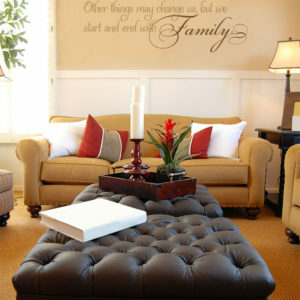 Today, family rooms are ever so popular that it serves as both an entertainment and social area. 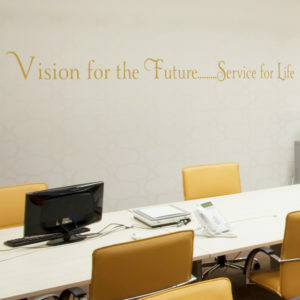 Although an informal room it’s still a place where special items are displayed such as photos, books, medals or trophies and other family treasures are kept. 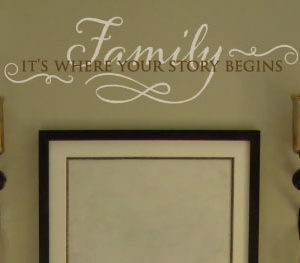 A family room wall decal can enhance a wall or corner as it can serve as a centerpiece to the large room or a charming way to label display items such as photos or paintings. 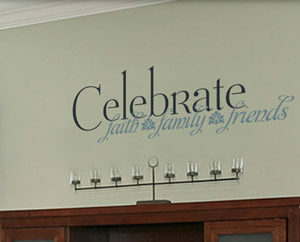 You can place “Family moments – Family memories – Family ties forever” above a large coach with 2 or more lettering styles and colors. 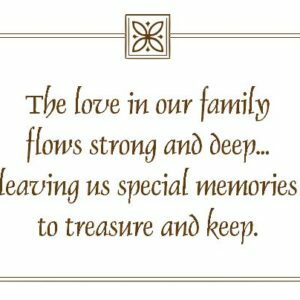 Create an interesting display of art around your curio or display cabinet where you can place this wonderful wall quote “The love in our family flows strong and deep…leaving us special memories to treasure and keep”. 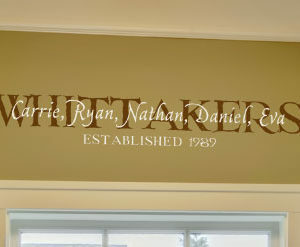 You can even add a frame around the wall words to give it a timeless finish. 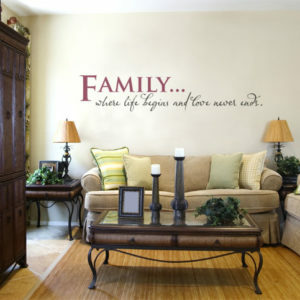 Wisedecor has a good collection of heart-warming family room wall quotes that your family and guests will surely love. 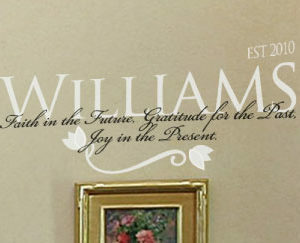 You can choose from a lettering style database that’s divided into categories for quick selection. 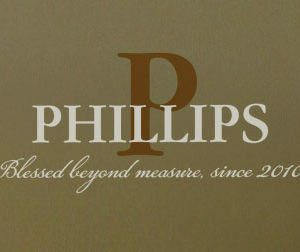 We also have 40 matte colors and several gloss and satin finishes to choose from. 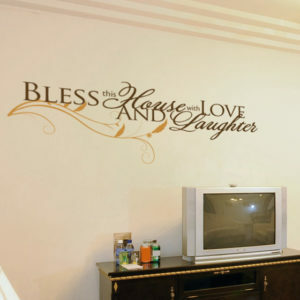 We know how difficult it is to decide which design to use that is why we provided a wall decal previewer where you can check how your wall lettering will look like on your wall. 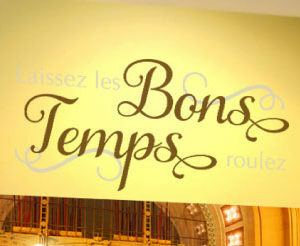 You can change the color or lettering style as well as the background to easily come up with the perfect design you really want. 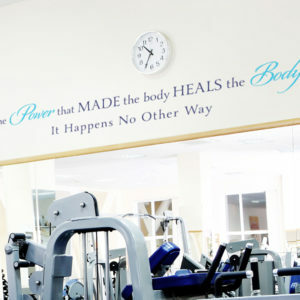 Once you applied our wall decal you’ll notice how good it looks on your wall. 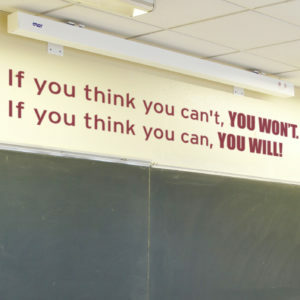 Our wall words don’t come with a clear film which is common for conventional wall stickers. 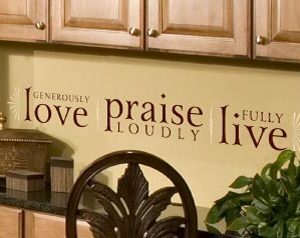 Instead it will look like it was hand-painted and stenciled right on your wall that’s without the difficulty and time-consuming method. 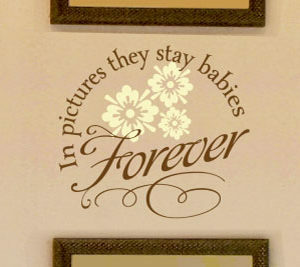 Our family room wall decals are easy to apply and remove. 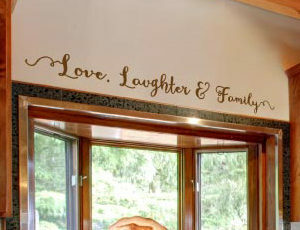 They’re uniquely creative plus these wall lettering are affordable decors you don’t need to do a major renovation just to enhance and beautify your special place at home.